Nagshead – Page 3 – Just Say Neigh! 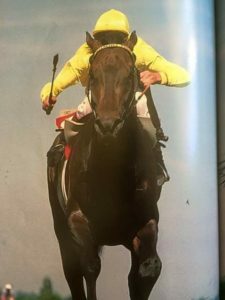 Reference Point lived a short life, but in that time, the stallion ran hard and experienced more success on the racetrack than most other horses dream of. Reference Point debuted in 1986, but his rookie race didn’t go to plan. The stallion finished third at the EBF Heart of Variety Stakes. It would prove to be one of few disappointments during his two-year racing career. Just month after finishing third, Reference Point topped the field by eight lengths at the Dorking Stakes. The race was run at Sandown Park, the same venue he had finished third at during his maiden race. 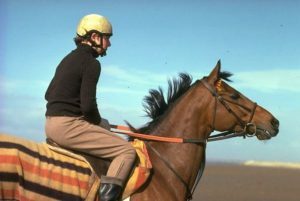 A win in his final event of the season at Doncaster saw Reference Point become the highest rated two-year-old of the year, and much was expected from the Henry Cecil trained horse in 1987. The season start well, but Reference Point missed the 2000 Guineas due to surgery on his sinuses. His first win of the year came at the Dante Stakes in an Epsom Derby warm-up. The pre-Derby race was a sign of things to come as the Stallion won in Surrey shortly thereafter. Reference Point then took first at the King George VI and Queen Elizabeth Stakes and St. Leger races, solidifying him as one of the top horses of the decade. St. Leger would be Reference Point’s last big win. The stallion was taken to France for the Prix de l’Arc de Triomphe in October. Despite starting out strongly, Reference Point struggled and finished eighth. It was discovered the stallion was injured upon returning to Cecil’s farm. The problem was an abscessed hoof, which would have hindered him in France. Due to the injury, Cecil retired the horse and Reference Point was put out to stud. There was one final award for Reference Point, however. The stallion was voted the British Horse of the Year for 1987. Unfortunately, Reference Point’s life would come to an end in 1991. After fracturing his leg in an accident at Dalham Hall Stud farm, he was put down. British-bred and Italian-trained, Ribot registered a perfect 16-win record during his career. Ribot raced for three years between 1954 to 1956, and the stallion earned $294,414. His earnings for the time period were unbelievable and converted into 2018 dollars, Ribot earned more than $2.659 million in just three racing seasons. Ribot started his racing career in 1954 as a two-year-old. His first race win came at the Premio Tramuschio in Milan, Italy. The stallion continued his fantastic rookie season with a win at the Gran Criterium. A year later, Ribot was entered into Italy’s more prestigious races and he excelled. Originally considered small, Ribot had grown and was now ready to take on the best race horses on the peninsula. 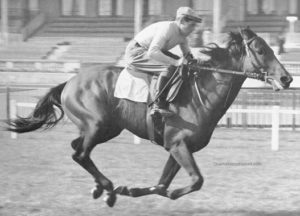 Ribot secured four wins early on in the 1955 season despite suffering a respiratory illness. After picking up four wins from four races, Ribot was taken abroad for the first time. The stallion was entered into the Prix de ‘Arc de Triomphe and began the day at odds of 9/1. The competition was no match for Ribot as the horse galloped to victory before picking up a sixth win of the season a few weeks later. The 1956 race season would be Ribot’s last. He continued his dominance of Italy before once again going abroad. This time his destination was England, and Ribot conquered the Ascot racecourse, winning the King George VI and Queen Elizabeth Stakes. Months later, Ribot won a second straight Prix de ‘Arc de Triomphe by eight and a half lengths, bringing his remarkable career to an end. The highly rated horse was retired after his third racing season and became a successful stud. In 1959, Ribot was leased for $1.35m ($11.551m in 2018) to Darby Dan in the United States. 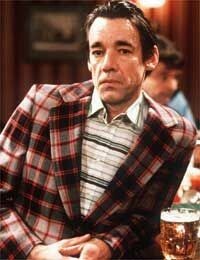 He remained in America until his death in 1972. During his 13-year stay in the US, Ribot became known as one of the best studs in the world, and his pedigree continues to this day. In 1992, Nijinsky was put down after years of siring top-class yearlings. His death brought an end to one of the greatest horse racing careers of all-time. The Canadian-bred, Irish-trained horse debuted in 1969 and ran to five race wins during his rookie year. If horse racing fans and experts were impressed with Nijinsky’s rookie season, then his follow up year shocked on lookers. The stallion won six races including the 2000 Guineas, Epsom Derby, St. Leger Stakes and the King George VI and Queen Elizabeth Stakes. 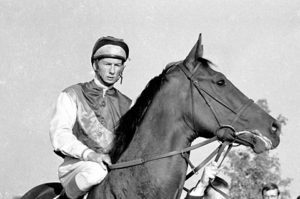 Nijinsky’s success in 1970 saw the horse win the 15th Triple Crown with jockey Lester Piggot on his back. The win marked the last time a horse has won the British Triple Crown. Just as Nijinsky ran on to the British horse racing scene, the stallion’s career came to an end. Ahead of winning the St. Leger Stakes, Nijinsky contracted ringworm. Despite coming back from the ailment and winning the Triple Crown, Nijinsky was unable to reach the same heights he had previously. By the end of the season, the stallion was retired and began his career as a stud. 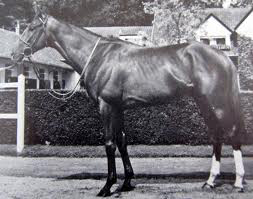 As a stud, Nijinsky would go on to sire 155 stakes/group winners. Nijinsky’s yearlings were so in demand, they sold for an average of $2.9 million in 1985. Nijinsky featured in 13 career races during his time. Eleven of those races ended in wins for Nijinsky as the stallion earned an estimated $677,118. Nijinsky is still known as one of the greatest race horses of the post-World War II era. The stallion received a Timeform rating of 138, which was second only to Epsom Derby winner to Sea-Bird. Nijinsky has been identified as the best Irish-based race horse of the 20th century, and still is remembered fondly in racing circles. In 1992, after being put down at Claiborne Farm, Nijinsky was laid to rest next two Secretariat and Riva Ridge. Even in death, the stallion was among champions.